Know the particular hazards of your job or workplace. Once you’ve learned these risks, you are able to keep clear of potential hazardous areas and situations. Always be alert of machinery and how it operates. If you work at a desk, keep your shoulders in line with your hips to avoid back problems. If you’re picking things up, use correct form so your back doesn’t get hurt. Avoid slouching and twisting. Try to make sure everything you are going to need for the project is within easy reach to prevent moving in a way that could cause you pain or discomfort. So many work-related injuries and illnesses occur because an employee is tired, burned out and not alert to their surroundings. Taking regular breaks helps you refresh and refocus. One trick to staying alert is to schedule the most difficult tasks when your concentration is best, like first thing in the morning. Take the proper precautions when using tools and machinery, and don’t take shortcuts. Taking shortcuts is one of the leading causes of workplace injuries. It’s a huge safety risk to use one tool in place of another for a specific job. Using tools the right way greatly reduces the chance of workplace injury. In case of an emergency, you’ll need quick, easy access to the exits. Keep a clear access to equipment shutoffs in case you need to quickly stop them from functioning. Your supervisor needs to be informed about any workplace safety hazards or risks. They are legally obligated to make sure their employees have a safe working environment. Unsafe conditions will be taken care of and made safe for you and your coworkers. Instead of attempting to carry or lift something that’s really heavy, take extra time to use a wheelbarrow, conveyor belt, crank or forklift. Too many injury risks are involved with trying to lift something that weighs too much. Around three percent of workplace fatalities occur due to alcohol and drugs. When a worker’s ability to exercise judgment, coordination, motor control, concentration or alertness is compromised, it can lead to any number of risks for workplace injury and fatalities. Stress can lead to depression and problems concentrating. Common causes of workplace stress include long hours, heavy workload, job insecurity and conflicts with coworkers or managers. Take your questions and concerns about workplace stress to your supervisor so they can help you try and resolve the problem. If you’re not wearing the correct safety equipment, you may get injured. 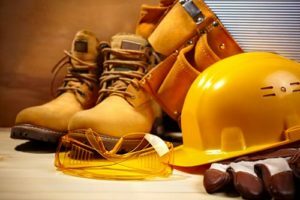 Earplugs, earmuffs, hard hats, safety goggles, gloves and full-face masks greatly reduce the risk of an injury at the workplace. Facility managers and business owners have the responsibility to get their employees up to speed on workplace safety. Share statistics and the risks their job presents to themselves on a daily basis. Reward employees with incentives when workplace safety behavior is demonstrated.